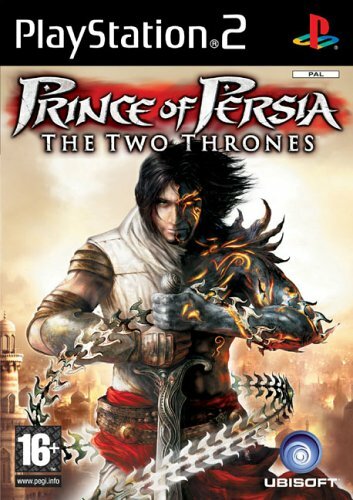 This is game three of the Prince trilogy and the excellence of the previous two games shines through to this one with excellent controls and stunning graphics that should keep gamers happy until the very end. Following on from Prince 2, the Prince and his beloved Kaileena are on their way to start a new life in Babylon. Of course if nothing happened after that the game would be all over Red Rover, so instead we show up and find that the city is under siege and that the Prince’s ship is damaged and Kaileena is taken prisoner and killed by the Vizier whom fans of the game would be familiar with. 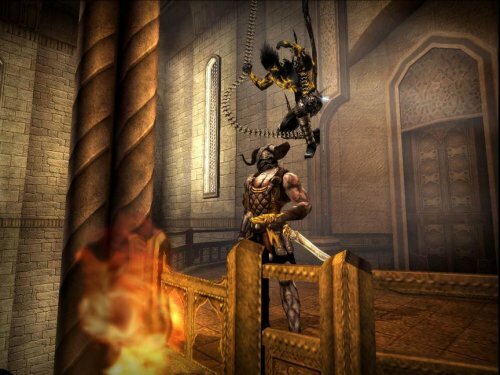 Fans of the series complained about the Prince’s arrogance in the second game, with the release of the sands of time, the pressure on the Prince is increased with the presence of a Dark Force within the prince this time threatening to envelope his soul. All the moves that we remember the Prince having are back with some great times to be had with cunning environmental puzzles for you to traverse and a great multilayered plot to uncover during gameplay. 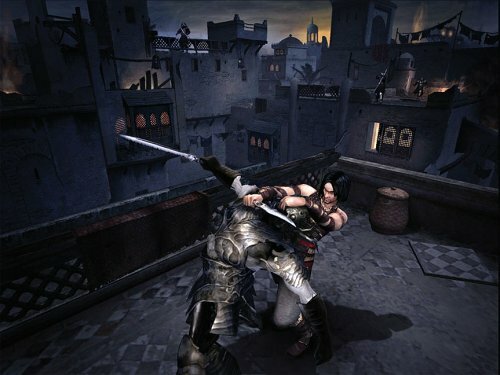 As the Prince loses the fight to the Dark Prince, he’ll change and you have a new series of moves and weaponry, including the awesome Daggertail to control. Be aware that the Dark Prince loses health constantly and needs to replenish his vitality from fallen opponents and destroyed objects. This lack of energy can be a cause for concern in some parts of the game where the Dark Prince has to solve puzzles without access to victims or other things that will replenish him which essentially makes the whole thing a race against time to complete the puzzle before DP croaks. Graphically, this game is going to make you smile, the whole thing looks great and with the introduction of speed kills in the game where a set combo allows you to take out your enemy with a number of precise button presses. It’s a lot neater than duking it out and faster too. All things said and done, this is an awesome game that looks amazing, sounds sweet and plays great, I can heartily recommend it to fans of the series and just those who want a fun time. With a duration of roughly 20 hours, POP: TTT will keep you busy fa’ sho’!